Earlier this year, we were so excited to find another site where connections between children’s books and faith are being made. If you aren’t familiar with Picture Book Theology, we hope you will be by the end of this post. 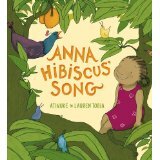 To introduce you to the site, we thought it would be fun to talk to Hanna Schock, the creator and writer of all the reviews on Picture Book Theology, and link to her review this morning of Anna Hibiscus’ Song, a book by Atinuke, a Nigeria-born storyteller, that conveys themes of joy, thanksgiving and praise. (You’ll find a link to purchasing information about the book at the end of this interview.) Welcome to Storypath, Hanna! How did you decide to start Picture Book Theology? Two years ago I began The Academy for Spiritual Formation, a program of The Upper Room. This is a 2-year course in intentional community designed for individual and communal spiritual formation. I entered this program hoping for vocational discernment with a strong desire to use my gifts, training, and experiences for building the church of Jesus Christ. For my church, I had just finished writing a year-long children’s curriculum based on an adult book which is an overview of the entire Bible with a social justice slant.That experience encouraged me to go into a different direction than traditional school psychology for which I am nationally certified. I wanted to do more teaching, writing, and curriculum design. Our 2nd year required a “covenant” which was simply a project that would serve others. I had always found picture books to be useful tools in my volunteer work at my church, especially for Christian Education but also for spiritual formation. In August of 2013 I began logging secular picture books into an extensive topical index that I created as I read. I had found over 200 picture books with potential for ministry applications by the time I was to commit to my “covenant” at the Academy community. Then I gave it the name Picture Book Theology (PBT). My Academy companions were very encouraging and a blog seemed to be the most efficient way to demonstrate the usefulness of picture books in ministry to a large, ecumenical audience. Through God’s providence, I met an enthusiastic technical advisor so that I was able to start the blog Easter morning. That seemed both personally symbolic for me and providential. My choice to offer a picture book a day for a year was a dramatic gesture to demonstrate the validity of what I am proposing which is simply that public libraries (that means free!) are full of potential resources for ministry appropriate for all ages in the form of secular picture books. What do you look for in choosing a book to review? 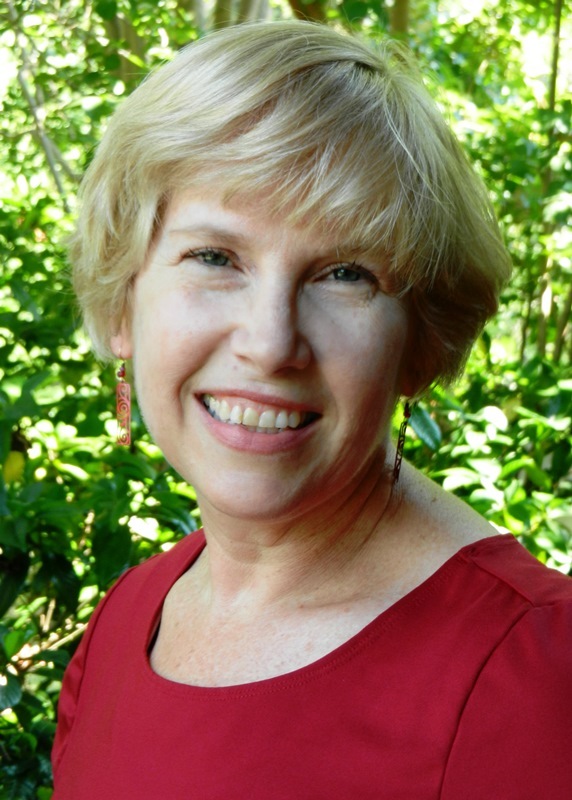 I primarily look for 3 elements: characters with emotional depth, a plot that has a transformational element, and a connection (through character or plot) to a Bible story, scripture, or spiritual concept. The last element is crucial. The first two simply give the book more potential for application. There are many picture books that I don’t include in PBT for the following reasons: If it has religious doctrine or tells a scripture story, I don’t use it on my PBT blog. This isn’t because I don’t recommend those books for children. Rather, I assume that those books can be found easily through library searches and religious book sources. I do include what I call “God Books.” These are religious books that are broader conceptually and don’t include specific doctrine. Instead they encourage consideration of God’s nature or general religious practices such as prayer. Also, these God Books would be hard to find. Any book that is girly (dolls, dress-up, etc. ), I tend to set aside. It is sad but true that most boys will immediately discount anything that they consider girly. I’ll have to choose 4 very different books. All the World (written by Liz Garton Scanlon and illustrated by Marla Frazee) for its simple poetry about families of all sorts and what connects everyone to the world and each other. If the World Were a Village (written by David J. Smith and illustrated by Shelagh Armstrong) for its social justice message regarding the inequities in our world and its celebration of our differences while emphasizing that we all want and need the same things. The Friend by Sarah Stewart for its focus on a committed, caregiving relationship that is wonderful on the surface but also speaks to me as a beautiful metaphor of God’s feminine qualities. A Sick Day for Amos McGee (writtenby Philip C. Stead and illustrated by Erin E. Stead) for its hilarious depiction of characters that are both selfish and set in their ways but then unselfish and willing to risk in order to care for and be present with a friend in need. How do you see stories connecting us to God’s story with us? I view our Holy Scriptures as our story with God, and I view our personal stories as our best and primary tool for connecting to others, the world, and to God. Anytime we can merge these twodimensions so that God’s story connects with our personal story and the personal stories of others, we have the potential to enrich our relationships with God and with others. These connections improve our learning and our spiritual growth while affirming our identity as children of God. Jesus demonstrated this so well in his parables. Picture books offer potential for those same kinds of connections. Anna Hibiscus’ Song (and an Interview with Hanna Schock of Picture Book Theology) by Storypath is licensed under a Creative Commons Attribution-NonCommercial 4.0 International License. Such a good interview and such a good blog to know. Storypath expands our horizons.